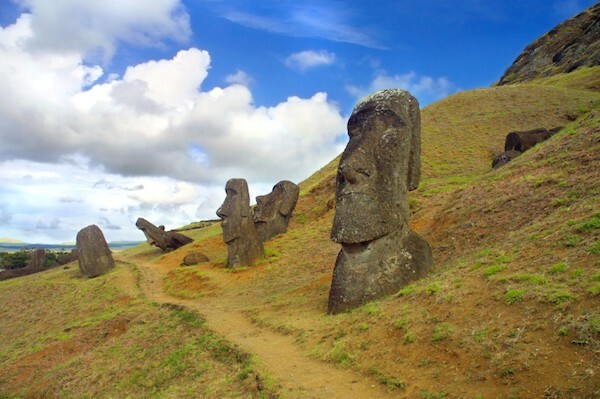 The moai are the monumental statues built by the Rapa Nui people in the late 800’s. 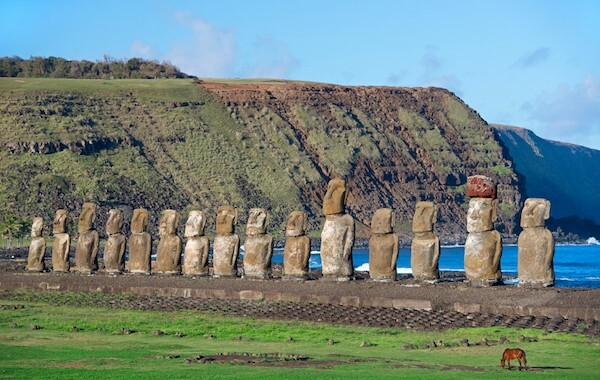 If you are teaching English in Chile, taking a long weekend to visit this magical island in the Pacific Ocean will make your TEFL experience abroad a dream to remember. Click here to learn how to get the best TESOL jobs in Chile! Viña Del Mar is Chile’s most luxurious town and is popular for its tropical white-sand beaches. Luxurious hotels, world-class nightclubs, and gourmet restaurants host a variety of festivals, conferences, and concerts all year round. While some of these luxuries are only available to the very rich, Viña Del Mar’s thriving hospitality industry means that there is a good market for qualified TESOL teachers to offer their services. 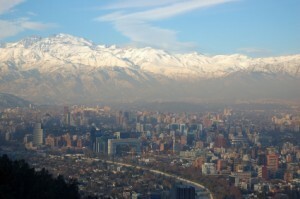 Santiago is one of the most developed cities of South America and has a population of more than five million. The capital of Chile offers the perfect combination of extreme sports, art, and culinary. The main ski centers are 60 km away and lovely beaches await only an hour’s drive towards the northwest. Santiago’s real beauty lies in the Vineyards of the Maipo Valley, which is one of the largest wine production regions of South America. For people who have a thing for history and culture, the Alameda has many museums and architectural sights. Plaza de Armas is popular for wrought-iron products and sells a diverse variety of exotic products. Across the river there are restaurants, playgrounds and parks. For better views, visitors are suggested to go to the top of the Cerro San Cristobal, which can be reached by bus. If you’ve never been to Chile and you don’t know how to speak Spanish, Santiago is the place to start. Teaching experience is not required, but take a TESOL course online or in-class so are ready to stand in front of a classroom. Chile is a stretch of 4300 Km along the coast of South America, but its width does not exceed 240 km. This country is known for its scenic beauty. With plenty of natural parks, it is one of the finest travel destinations for practising extreme sports such as kayak, hiking, rafting, and surfing. One of the greatest attractions is the massive slender wall of the Andes. It’s a mountain range that keeps rising and contains more than 50 volcano peaks. Chile is definitely the place for ESL teachers who are thirsty for adventure and it is also welcoming for those seeking a more quiet life. After all, this is the land of Pablo Neruda, one of the world’s most famous poets. With plenty of vineyards and lakes to visit, you will surely have a great time! The demand for ESL teachers is very high. A 100-hour TESOL certificate or higher TESOL certification is required.